We're here to report the science behind this tech, or rather, that there doesn't seem to be any science behind this tech. 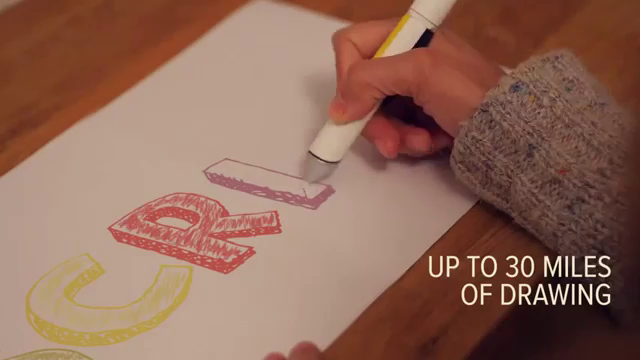 Scribble, the “revolutionary pen that draws in any color [! ]” from Scribble Technology claims that it is able to scan color from any object and instantly reproduce the color on paper or a digital screen. Sounds great, right? Like many, you’ve probably been questioning: Just how can this piece of technology work? We wondered the same thing – and we’re here to report the science behind the tech, or rather, that there doesn’t seem to be any. In short, that the Scribble Pen might be too good to be true (all evidence seems to point that way, at least). It looks like the first evidence of the Scribble Pen was on Kickstarter in August 2011. Three years later, “funding for this project was cancelled by the project creator” despite the fact that the team raised $366,566. That’s more than three times their original goal. They even reached the goal within five hours of launching the campaign. “In view of the many requests to better see and understand how the Scribble Pen and Scribble Stylus works, we are currently shooting another video in more depth which will be available sometime next week . However, We received an email from kickstarter dated 08/12/14 requesting a new and more illustrative video within 24 hours, so we had to cancel the project with hopes of restarting it again with a much more detailed video. See? No reason to panic. They just needed to make a better video. Before being cancelled, the pen raised $227,540 on Tilt. The creators claimed that Tilt’s issue was that they only had a prototype, and the product wasn’t 100% ready. Funny that literally thousands of other creators ran successful campaigns with only prototypes, but sure. So what have we got here? The team isn’t having a lot of success on these crowdfunding platforms, but that doesn’t mean their product isn’t great, right? Not quite. In an imgur post, user ilikepie641 describes how he found a “glitch” in Scribble’s original Youtube video, revealing that the drawings may have been faked and put in during post production. Numerous other posts on imgur note similar discrepancies. Reddit got involved next. A word of warning: Take what comes next with a grain of salt because, well it’s reddit. A reddit user named wanderingjew claims to have written this article, where he explains that The Guardian interviewed “someone who didn’t exist” for their coverage of the Scribble pen. The thread goes on to claim to have identified the guy behind the original Kickstarter. Meaning, if Scribble does not fulfill its preorders, anyone who contributed to the campaign could file a suit that would impact the company owners directly. “We regret to inform you that we will have a slight delay with the expected shipping date of the Beta Test Kit. Our engineers are experiencing some technical issues with the advanced color sensor that the pen uses. 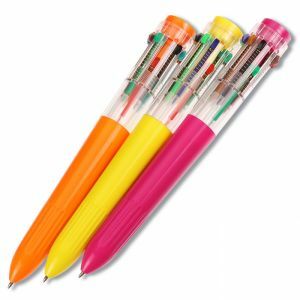 Still not convinced that the Scribble Pen company is a scam? Well, the pen is available for preorder for $249 and the Smart Stylus version for tablets is available for $119. But honestly, you’re better off with one of these. Why? Because these pens actually exist and the creators are upfront about the tech behind the product, so you can analyze it and determine if the science is sound for yourself. Our guess? We’re probably all going to receive an empty box.